ON SALE THIS WEEK ONLY!!! Once he was broken beyond repair. Now this MMA contender is fighting to be a better man—for her. 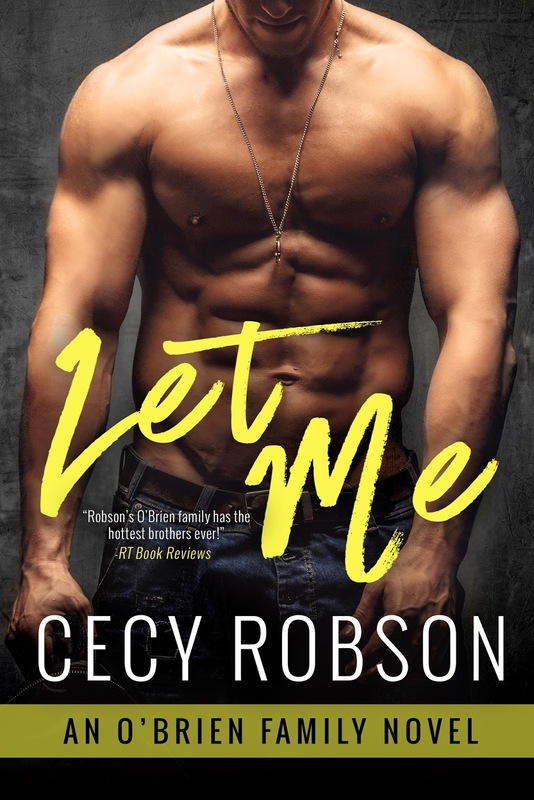 RT Book Reviews proclaims that the O’Brien Family series from award-winning author Cecy Robson “has the hottest brothers ever!” And in Let Me, it is Finn’s turn to discover how love can heal the deepest wounds. therapy. Finn’s not one to bare his soul, but if talking it out means meeting beautiful women like Sol Marieles, he’ll give it a shot. South who enjoys carbs way too much, and exercise way too little. Gifted and cursed with an overactive imagination, you can typically find her on her laptop silencing the yappy characters in her head by telling their stories.